First, let's talk about the game's "new" stars. Mighty the Armadillo and Ray the Flying Squirrel first appeared in the rare 1993 arcade game SegaSonic the Hedgehog. This makes them among Sonic's oldest friends -- even older than Knuckles! Mighty would later appear as a playable character in the 32X game Knuckles' Chaotix... but mysteriously disappeared from the Chaotix team in all their future appearances. Ray, on the other hand, never even got that. The arcade game marked his first and last appearance, outside of occasional cameos. So this is a pretty momentous return for them. Mighty's signature technique here is a strong ground pound. Unlike Sonic's new dropdash, this move pretty much stops you in your tracks... though I suppose it could be useful if you're overshooting your target mid-air. It can also be used to dislodge hidden item monitors from their perches. Mighty's shell allows him to bounce off of spikes unharmed. It can also act as a shield while jumping or ducking, allowing him to safely deflect certain projectiles or come into contact with certain enemies. Unfortunately, he didn't retain his ability to walljump from Knuckles' Chaotix. Ray's wings allow him to glide through the air, and even underwater. Pressing forward makes him drop, while pressing back makes him rise. Dropping downward increases momentum, which is necessary to gain height. Yes, this basically acts like Mario's cape from Super Mario World. But unlike Mario, Ray won't be able to fly over entire levels. After an extended period of flight, he eventually stops being able to ascend higher. Ray is vulnerable in his flying state, but releasing the button reverts him to his ball form, allowing him to cause damage. However, you can't start flying again in mid-air after dropping out of it. The new characters have enough unique traits to make them feel different from the original trio. Thy aren't just "another Tails" or "another Sonic". They feel fresh enough to make playing them worthwhile. Personally, I find Ray a lot more fun to play as than Mighty, despite having fewer quirks. Gliding around, finding new ways to reach higher grounds and shortcuts is a lot of fun. Though Mighty may be a more beginner-friendly character with his extra armor. ...the new bonus game! Hitting a goal post with 50 or more rings allows you to play a game of pinball. Hitting the "ball" to the top of the table activates a crane game, where you can grab lost characters, shields, and rings. The table's pretty simple, the crane feels a bit slow to start and end, and it could maybe use a tilt function, but it's fine for a simple bonus game. If you already have a full stock of characters, then they don't really offer much. One nice little innovation is that the flippers higher up on the table are intangible until the ball passes above them, so they don't get in the way. And it's all low poly 3D, like the special stages, which is always welcome. And speaking of special stages, there are 7 brand new stages to chase UFOs through. If you had a hard time with the old stages, you're gonna have an even harder time with these ones. I wasn't even able to beat the first special stage during my entire initial playthrough of Encore Mode. Yeah, they're pretty tough. Finally, the Encore levels themselves are familiar, with some subtle tweaks for some increased difficulty. No new gimmicks or anything like that. They do have nice palette changes, though. If the regular levels are like your standard assortment of fruit-flavored candy, consider Encore levels like a "mixed berry" variety. Angel Island also gets to be a playable level, instead of just a backdrop to an intro. Well, it acts more like a simple tutorial level, but it's still nice to see. Overall, the Encore DLC brings enough new content to be worth jumping into the game again. The new characters alone probably would've been enough for that, but all the other new stuff really makes it worthwhile. Time attackers will surely get some extra mileage out of the new characters and new set of levels to challenge. And for 5 bucks, it's well worth the asking price. 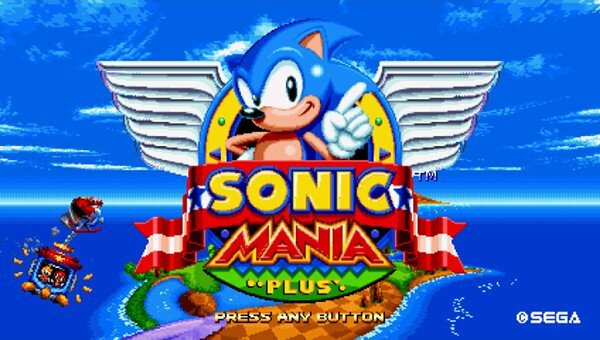 Sonic Mania as a whole is still great, and now it's even better. Still highly recommended for old and new fans alike. I hesitate to call it "the best Sonic game ever", out of respect for the originals which laid the groundwork for this game and are the whole reason it exists. But objectively speaking, it'd be hard to argue.